Creamware Prodyssey – a very cool 12voice ARP Odyssey Hardware Emulation – great one – the ASB series was better than anything until Roland did their System 1 / 8. So they were 10 years ahead. also some things like the Future Retro XS which became a lot different later. Sequentix P3 Sequencer came up – the successor is the Circlon – a lot of MidiBox Sequencer in it. 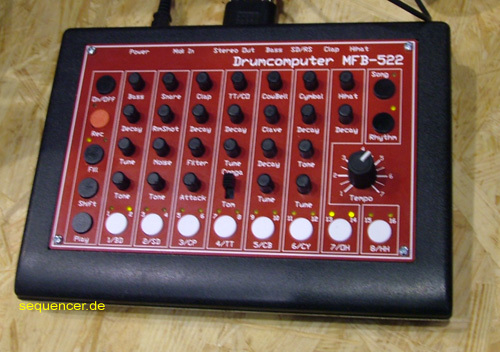 the Mono Evolver Keyboard and Novations KS series came up in 2006 as well as Jomox new drum machines Xbase 888 and 999. and – Moog Little Phatty. Silly Names parade at that time at Moog but a good synth. Zurück Music Portrait… I want your photos/tracks! Weiter dvdborn: Synth Stores in NY photo..